Thanks to everyone who came out to our Charlotte Helpers prayer vigil for July! We enjoyed Divine Liturgy in the chapel at St. Thomas Aquinas and afterwards prayed at the Latrobe abortion clinic with Fr. Mark Shuey and Fr. Deacon Matthew Hanes leading us in prayer. Special thanks to St. Basil’s Eastern Catholic Mission and their pastor, Fr. Mark Shuey, who traveled from Raleigh to join us for this event. Fr. Mark Shuey regularly participates in pro-life work in Raleigh and is a big supporter of prayer for the Culture of Life. He has even celebrated Divine Liturgy (equivalent to the Latin Rite Mass) on location at an abortion clinic in Raleigh. Wow. Thanks also to Fr. Deacon Matthew Hanes who helped organize this event. 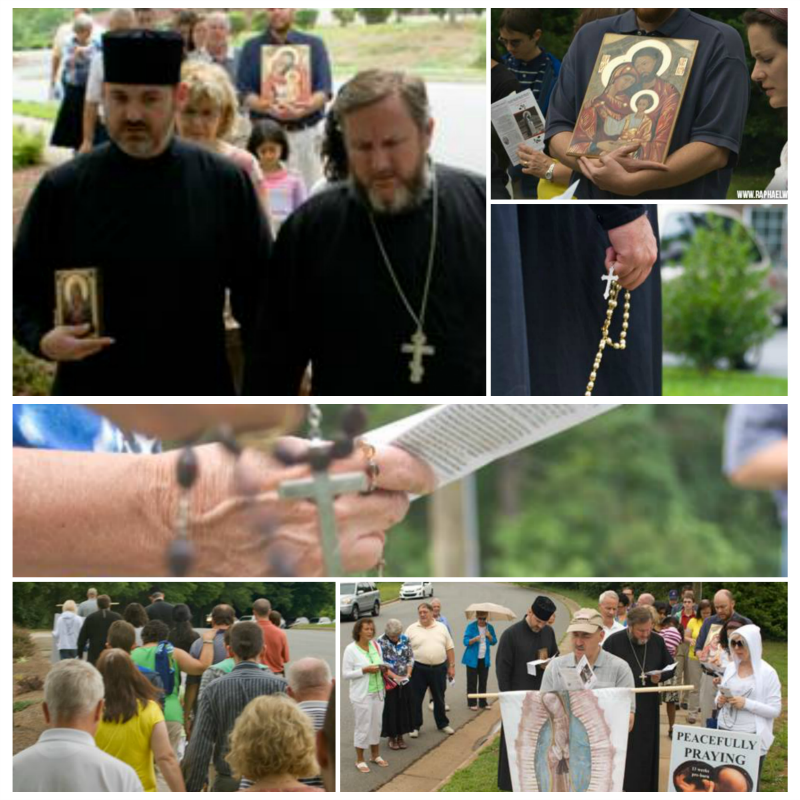 It was a great opportunity to spend time in prayer for Life with our Byzantine Rite family!